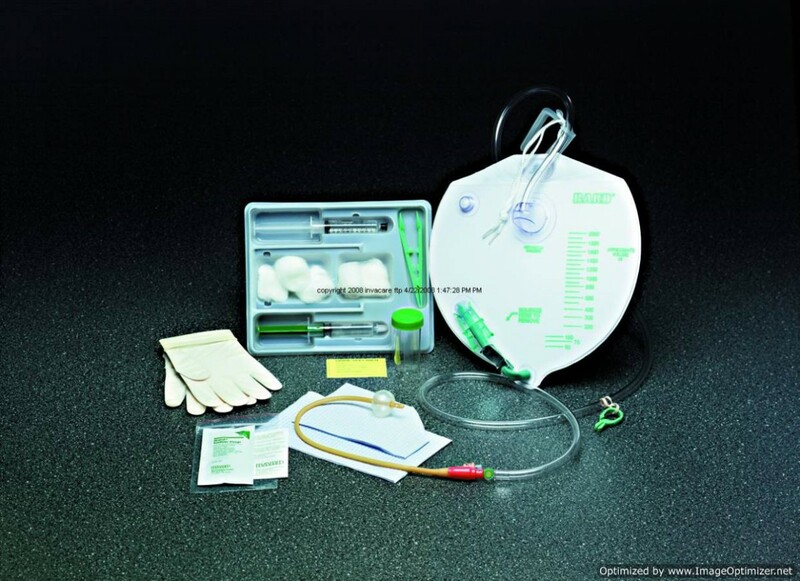 Bard Foley Catheter Closed System Insertion Tray - Sterile contentsof the Insertion Tray Kit include 10cc pre-filled syringe with sterile water, 5 rayon balls, 2 ounce specimen container and label, PVP solution, plastic forceps, latex gloves, 10cc lubricant in syringe, drape and underpad. 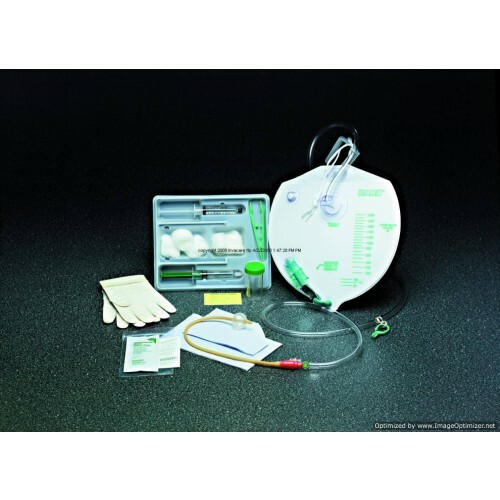 Insertion trays that come with a Foley Catheter have the catheter connected to Drainage Bag #154002 which is a 2000cc Bedside Drainage Bag with single-hook hanger.Other Insertion Tray options are available at the following link: Insertion Trays. My husband has been using this set for 9 months now. I'm glad that I have found this kit for him because the previous ones that we bought were so unreliable. There were leaks all over the place and some were actually changing shape in his every movement. But this one is different, he feels secured with it.